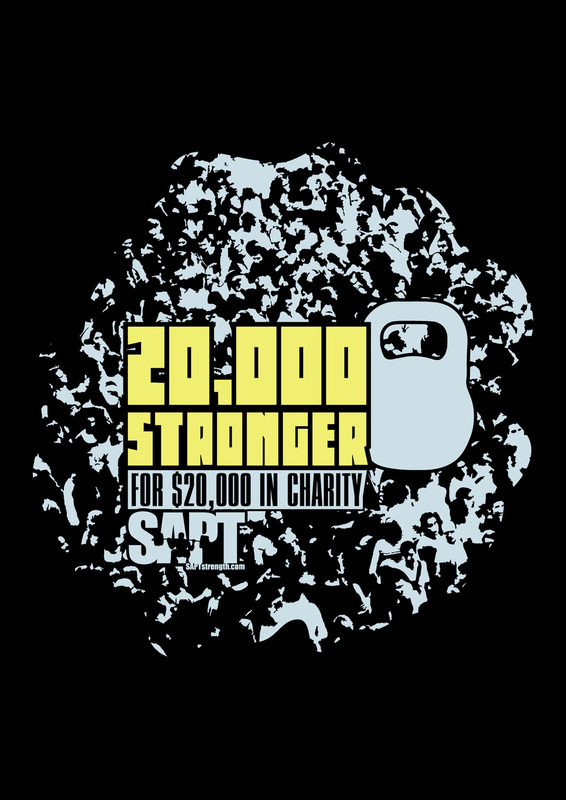 Our big goal at SAPT in 2016 is to get 20,000 Stronger. It's a pretty simple concept: we will strive to service 20,000 sessions and will in turn make a $20,000 to the charity of our clients' choosing. But, we need your help to get there! Every time someone comes in for a training session, we set aside $1 for their charity of choice. That's it! Our clients can choose to have their donation go to any of the following: Alzheimer's Association, Side-Out Foundation, or Special Olympics.